The New York Mets are headed back to the National League Championship Series for the first time since 2006 and fans couldn’t be any happier. The Mets capped off a thrilling series against the Los Angeles Dodgers last night with an incredible game, winning on a Daniel Murphy home run blast in the sixth inning. And sure, the team was pretty darn happy. They even made a slip-n-slide out of beer during their celebrations in the locker room after the game. But no one is happier about the win than the Mets faithful. It is always easy being a Mets fan, but when they are playing great, rooting for the Amazins is, well, amazing. 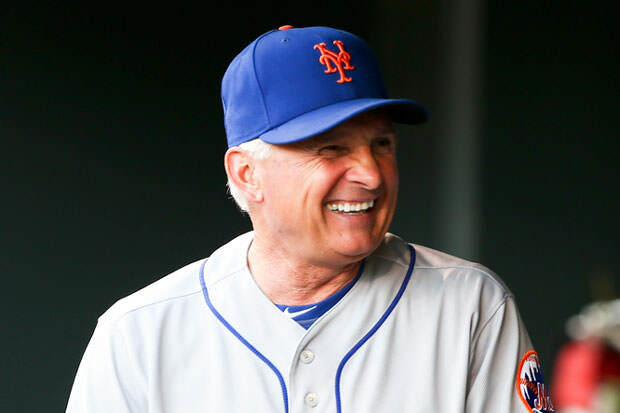 One of the best scenes from last night was when manager Terry Collins went over to the fans to shake a couple of hands after the victory. One truly grateful Mets fan kissed Collins on the cheek and said “I love you” to the man. The Mets will face the Chicago Cubs next.